We had forgotten about him. The focus in Mexico's qualifying was on Max and the Mercs. But Sebastian Vettel, almost unnoticed, was in the mix, and not one to be written off. Especially not at the last of a quali session. And he snatched this pole position with a stunning final effort around the Autódromo Hermanos Rodríguez. 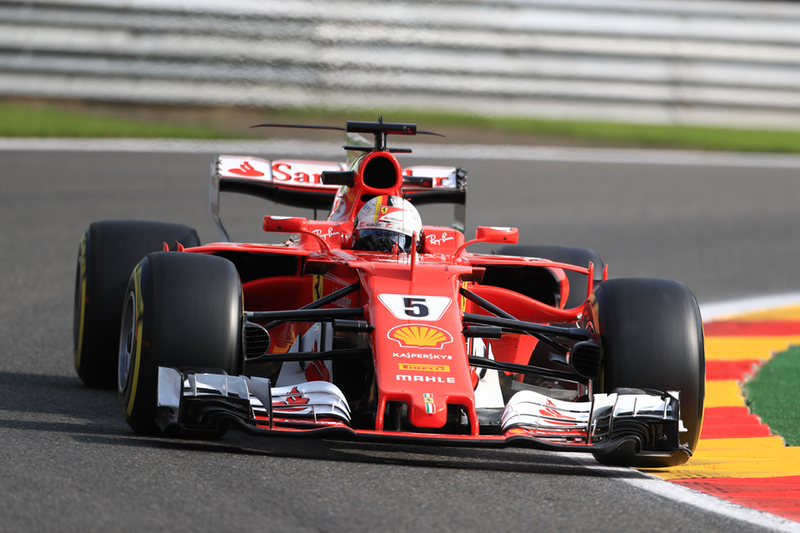 From the championship angle it was an act of futility; Ferrari lately hasn't had its troubles to seek more generally either. But at least Seb is going down fighting, being one of the few things about the Scuderia not to flinch in recent weeks. 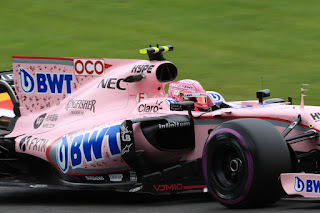 That party piece of his, absolute taking a car as fast as it can go - and perhaps faster - in a quali crunch point, was what did it. Appropriately it was his landmark 50th pole. "It was quite a lap I have to say. 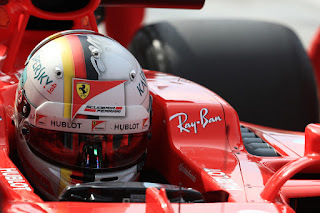 I'm really really happy," Vettel said, again appropriately. "It's very difficult here, very slippery, difficult to get everything in one lap. I had a little bit [of an advantage] in the first sector, I managed to get that right so I had a good start, then I had a bit of a moment at turn six, I nearly lost it there, had to go down to 1st gear, but I didn't lose any time. "Then I knew the last sector if I could just keep it clean and cross the line it should be enough and it was. "Yesterday wasn't that good for us in all honesty but overnight we improved, we had a lot of things we worked on and changed and they all worked." As noted though it wasn't supposed to be that way, as much of the focus had been on Max Verstappen in his Red Bull. Mercedes had worried about this weekend long in advance while if the local altitude means downforce is hard to come by Red Bull can be counted upon to find grip no one else does. One is put in mind of the Sid Watkins anecdote, wherein during some qualifying session where the track was said to be 'slippery' upon seeing Ayrton Senna exit the pits his medical partner mused, "I guess the track will get un-slippery now". So it was, a Bull topped second and third practice. Yes, plenty said though, qualifying remains a conspicuous hurdle. 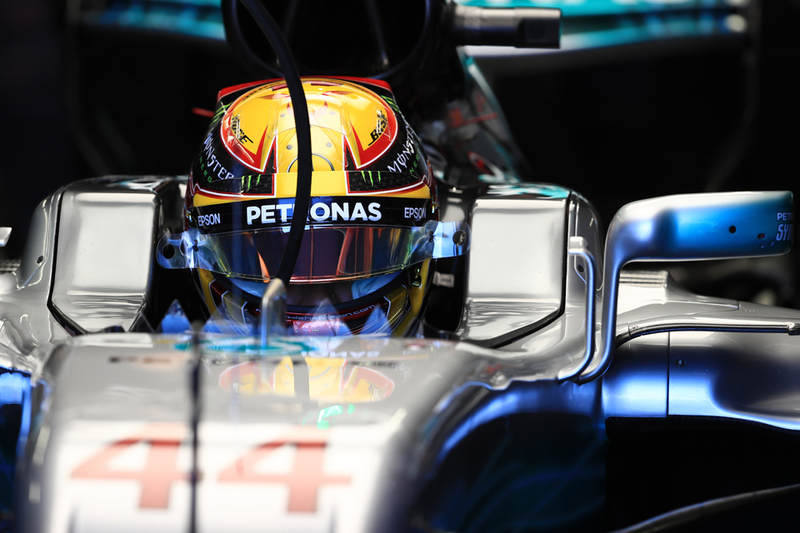 Mercedes usually cranks its units up for quali, particularly Q2 onwards, and therein snatches away the chances of pretenders. Even the Ferrari does that much more than Red Bull's Renault unit. But it was at that precise moment that we received confirmation that things were different this time. Max swept round to set a time half a second under the Mercs and everyone else. He did similar in the first runs of Q3 - lighting the timing screen up purple and setting a mark for provisional pole a quarter of a second under Seb next up. Seb as noted was the forgotten man in all of this, just as he's become the forgotten man in the title race. But while attention was elsewhere he kept posting near at hand lap times. And when it mattered he struck decisively. Max didn't improve on his final run, and Seb's outlined skills did the rest. He lit the screen purple just as Max had, and sneaked under the prodigious Dutchman's time by eight hundredths. Max had to make do with second. "I am super annoyed," Max said afterwards. "You always try to go for pole position and Q2 was looking really good, in Q3 I couldn't switch the tyres on and couldn't go faster. "Second is still a good place but after Q2 I had hoped for more." It threatened to get worse for Max as he was investigated for impeding Valtteri Bottas on an earlier run. Bottas claimed his lap was "wrecked" but while Max wasn't helpful he also was off the line and a distraction more than anything else. Bottas should have coped (while Max in that way of his was unflinching on the subject in front of microphones). A penalty would have been extremely harsh, and the stewards saw sense this time and left things well alone. Thus the Mercs will fill the second row, Lewis Hamilton ahead and near enough half a second off the pole time. "It just wasn't the cleanest of sessions, and they were quicker. The car's balance was fine...," said Lewis, revealing a lot. As for whether he'd takes risks tomorrow with the championship at stake? "What risk?," he countered. He probably has a point. The probability remains that he'll clinch the drivers' crown tomorrow, as he needs only fifth place. Only unreliability or other weirdness will deny him. Team boss Toto Wolff though was "quite pleased" on a more immediate level. "We've come a step closer to Red Bull and Ferrari on a high downforce track," he claimed. 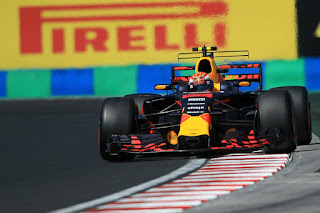 Daniel Ricciardo was oddly off his stable mate's pace - near enough a second off Max in the final reckoning and he even slipped behind the ever-impressive Esteban Ocon and starts seventh. Ricciardo admitted to being "confused, annoyed, helpless". Kimi Raikkonen too was way off team mate Seb, in his case by three-quarters of second, though he gets to start fifth. Perhaps only some can get the alchemy of this place. Nico Hulkenberg was near at hand too to get eighth one place and three tenths up on new Renault mate Carlos Sainz. Local man Sergio Perez rounded out the top ten, disappointed that the track evolution had worked against his set-up. While despite as usual being bottom through the speed traps the McLarens looked quick here, and Fernando Alonso set a time within two tenths of the top in Q1, good enough for fifth at that point. And no, it didn't reflect tyre compounds, different running or anything else. The pace was genuine. Dread engine penalties mean the Woking pair fill tomorrow's back row though. How they must look forward to next year. One-stoppers are expected tomorrow, indeed based on previous visits to this track and counter-intuitive to itslong straights there isn't likely to be much overtaking either. "We'll see what happens but the race pace should be really good," promised poleman Seb. As for the largely forlorn title? "It's not as much in my control as I would like it to be, so it depends what Lewis is doing," Seb added. Lewis however expects processional fare. "It's an easy one-stop strategy, you can't overtake, there's 1.4s delta [advantage per lap required to pass] I think. "It's going to be a train, but if you get a good start or if I'm able to be close enough in the pit-stop maybe, who knows?" Qualifying therefore mattered even more than usual. And Seb topped it.